Madison refuses to accept the official line that Abigail’s death was an isolated crime. She uncovers evidence that suggests Abi was the third victim in a series of killings hushed up as part of a major conspiracy. This is Jonathan Freedland’s first novel published under his real name, having already had a successful career with five novels under his pen-name of Sam Bourne. 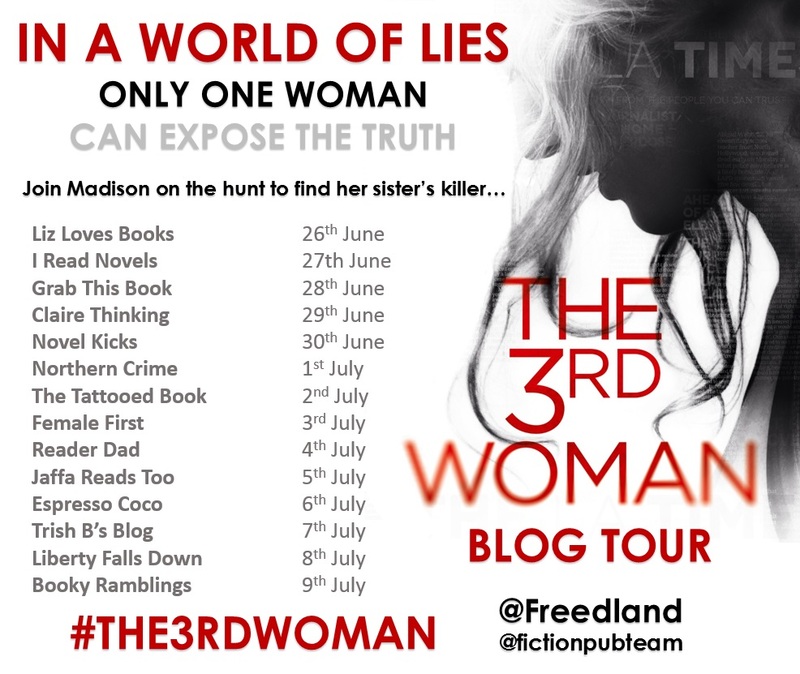 Madison Webb is a fantastic, well-realised heroine and feels fully fleshed-out, as does the family dynamic between her and her sisters. I loved her sheer bloody mindedness in getting to the truth behind her sister’s murder, going up against some seriously heavy hitters. There’s a real sense of danger and peril as Madison upsets the wrong people, with unpleasant consequences. It’s crying out to made into a movie. The Chinese-dominated smoggy LA would make a brilliant backdrop to a series… Netflix, are you listening? Leo could see the mayor was on his last question. Quick check of the phone before take-off. He scrolled through his messages. One from an old friend. Just heard. Can’t believe it. It was bound to be about the food export story. There were new figures showing Californians were exporting so many of their staples – oranges, strawberries and avocados among others – they were running short themselves. He checked his watch. Yep, this was about the time the numbers were due for release. But he checked Weibo to be sure. He scrolled through, but stopped short. Tragic news about @maddywebbnews’s sister. Thoughts and prayers are with her family. Abigail Webb, 22, an elementary school teacher from North Hollywood, was found dead early Monday in what police now believe was a likely homicide. An LAPD spokesperson would give few details, but sources indicate the cause of death was a heroin overdose. Despite an initial examination of the dead woman’s apartment which could find no confirmed signs of forced entry, detectives say a later probe of the scene found damage suggesting a break-in. Ms Webb is the younger sister of the award-winning LA Times reporter, Madison Webb. Leo read the words several times over, believing it less and less each time. He and Madison had been together for just short of a year, but he had seen Abigail at least a dozen times. She was the first member of her family Madison had let him meet. He liked her: she had all the fizzing energy of Madison and none of the taidu, the attitude. Perhaps a bit too wide-eyed for his tastes, but her enthusiasm was contagious. He and Maddy had been to see a show at the Hollywood Bowl on a double date with Abigail and a short-lived boyfriend, dropped soon afterwards. But once those two were up and dancing, Maddy and even Leo – usually too shy and world-weary for such things – had felt compelled to follow. Now he thought about it, Madison was different around Abigail. The cynicism receded; she was gentle. She smiled more. In their moments together, the older looking out for the younger, he realized he had caught a glimpse of the mother Maddy might one day be – a thought which he had never articulated at the time and whose tenderness shocked him. He read the weibs again. He was scrolling further down, as if he might see a message voiding the others, announcing a mistake. He kept scrolling. He said nothing, but turned off the phone all the same and stared right ahead. ‘We need to get out ahead of this one, Mr Mayor. We have to make sure that this is investigated with the utmost thor­oughness.’ His own voice sounded strange to him, too formal. He tried to steady himself, took a sip from the water glass on the tray in front of him, which appeared to have arrived by magic: he had no memory of anyone giving it to him. He told himself to get a grip. Focus. Leo turned back towards the window, the city below now little more than a blur. He pictured Abigail and then he pictured Madison. He shook his head. 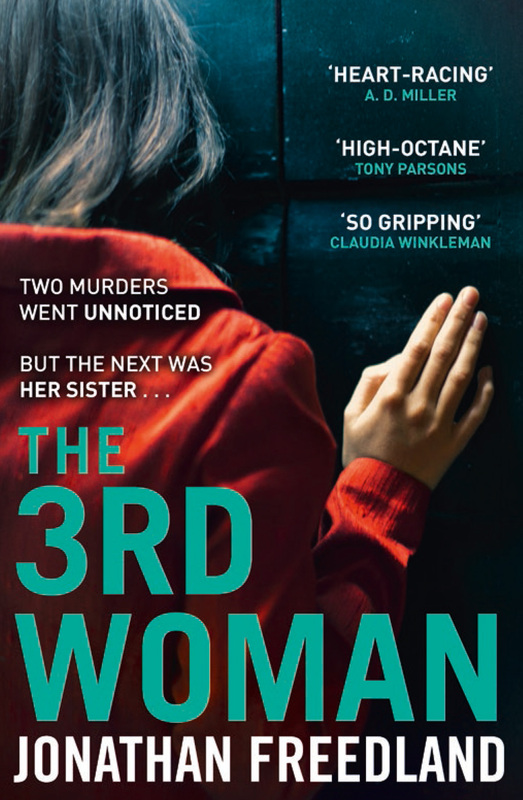 The 3rd Woman is out now in paperback from HarperCollins. disclaimer: Many thanks to @fictionpubteam from HarperCollins for the advance copy of Jonathan’s book for review. The opinions in the review are mine.